In our last post we took a look at a dozen or so Chrome extensions that were useful for students (and got lots of suggestions for more extensions in the comments). In this article we will be taking a look at Chrome Web Apps that are useful for schools. With the Chrome-books being released, developers have set their sites on developing applications for Chrome. We as educators can now take advantage of these applications on our computers using the Google Chrome Web Browser. Lets take a look at 25 Chrome Web Apps to use in the classroom. Why should we use Chrome apps? Chrome apps have the ability to stay in sync with your home Chrome web browser. They also do not require administrator privileges on the machine you are working on. Now you will not have to wait for someone else to install software on your machine. Note if you are unable to use Google Chrome on your school computer you can take a look at this guide on how to use Chrome from a flash drive. I will warn you as you navigate through the Chrome App Web store (https://chrome.google.com/webstore?hl=en-US) you will find that some of the “Apps” are just a link to a website. This could be a good or bad thing. Good because you get a big logo that will direct you to the website you want to go to, bad because it is not anything special or different than just going to the website. Also note that all of the apps that I talk about today are free apps. Some however do try to get you to buy the full version. 1. Google Docs: If you are following my blog you know I am a huge advocate for all things Google. Imagine the time you will save by having this simple logo that you and your students can click on and have instant access to your Google Docs. 2. Diigo Web: Diigo Web is one of those fancy icons that only link to a website. I will say this has saved me time locating resources to share with fellow educators. Simply click on this icon and it will take you to your Diigo account. 3. Aviary Feather: Aviary feather is a great photo editor that allows you to create, edit, and share your photo’s all from your browser. The software has several different tools to use such as teeth whitening, stamp tools, and text. There are several presets such as “Toy Camera” and “Instant!”. After you edit your picture online you can save it to your computer and share it with the world. 4. 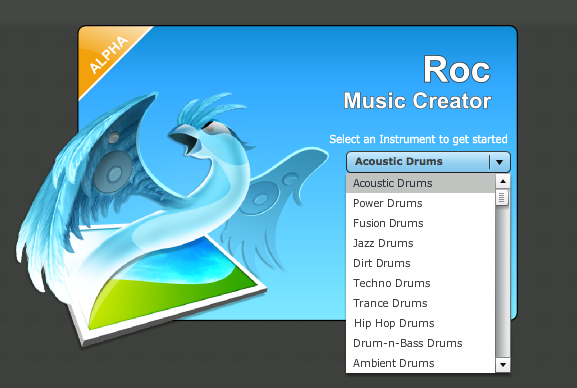 Aviary Music: Similar to Aviary Feather, Aviary Music allows you to create your own music and share it! When you open the program you are presented with a group of more than 20 instruments to choose from. You simply fill in the bubble where you want to play a certain instrument. You are not limited to what you choose when you started the application, you can add several different instruments to the mix. 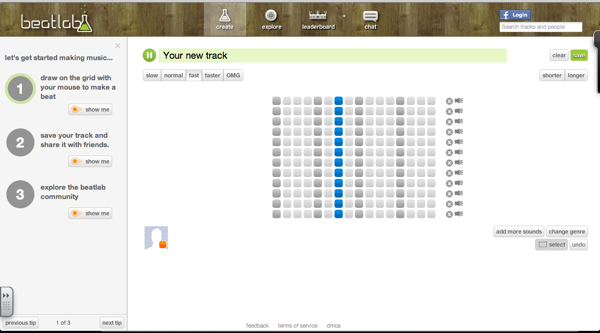 After you create your sound loop/song you can save your creation to your computer so you can use it in a movie or lesson. 7. Cramberry: I wrote an article about Cramberry previously. 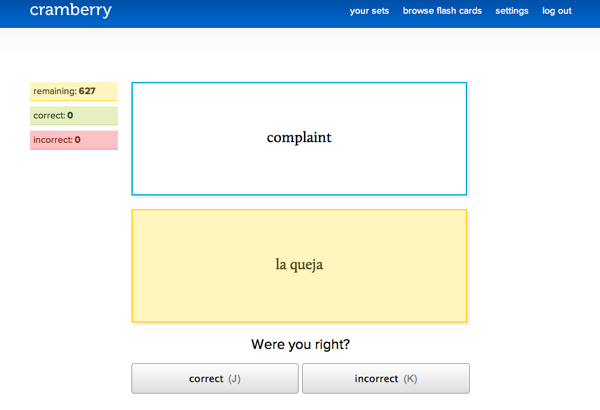 Cramberry is an online flashcard application that quizzes you and keeps track of the questions you missed and re-tests you on the ones that you missed. Now they also have a link from the chrome app store that allows you to study all the time. 8. Calculator: Calculator is a great standard calculator but I really like the conversion function (see below) that allows you to convert currency, length, area, volume, speed etc. 9. Carrot Sticks: Carrot sticks is a math game similair to Scholastics Fastt Math. 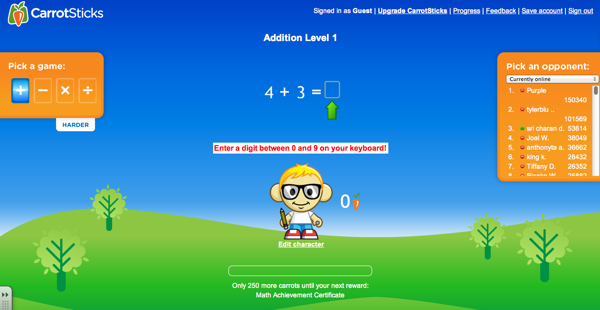 Carrot sticks allows you to create your charecter and work through different levels and difficulties to work on your math facts and problems. 10. 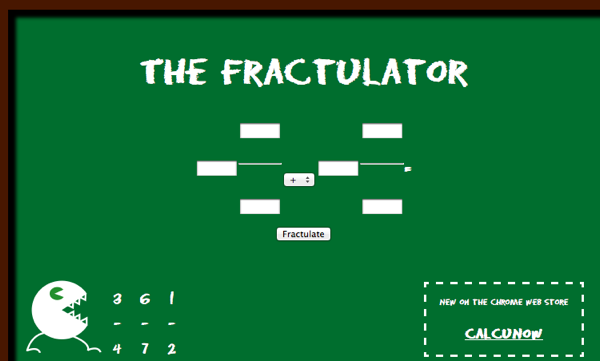 The Fraculator: is a fraction calculator that allows you to input different fractions and add, subtract, multiply and divide them. 11. Cargo Bridge: I can say while working on this article this game definitely took some of my focus away from writing. 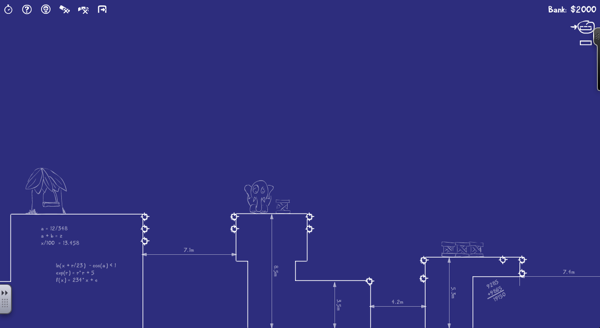 Cargo bridge is a bridge building app that utilizes concepts in physics to build bridges for little characters across a span and rescue different items. This game is seriously addicting but is also educational . Definitely take a look at this app! 12. 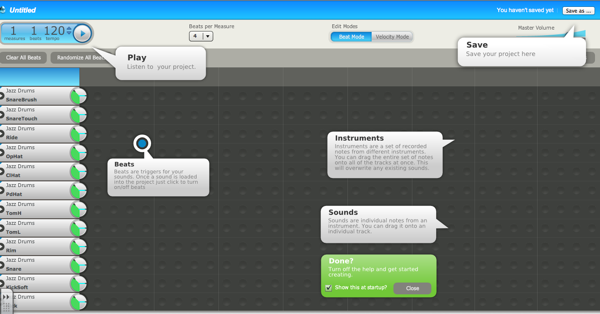 BeatLab: Beat Lab is similar to aviary music for online music creation except it has a social aspect built in. Every week there are “leader boards” in which the most liked song “beat” gets to the top of the leader-board. You have the choice of several different musical instruments as well as Genre’s. Create a beat and see if you make it to the leader-board! 13. Planetarium: Planetarium is an application that you can navigate the night sky. 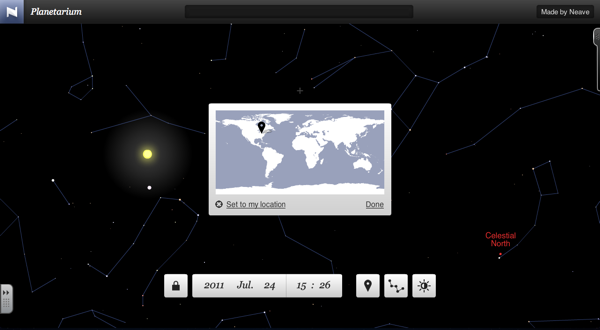 First you set your location (or another part of the world to show the difference in the night sky) and it will show you a sky map from your location and label the constellations. 14. 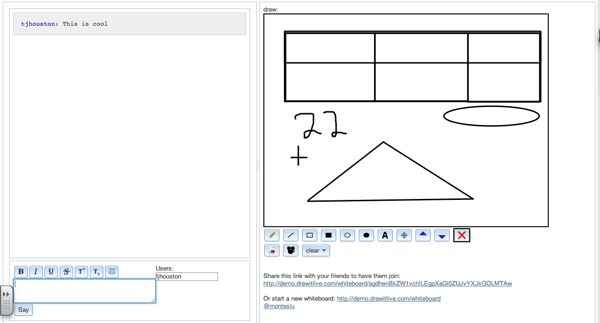 DrawItLive: Draw it live is an online interactive whiteboard application that you can pop up in a minute and send a link to someone and instantly be viewing the same canvas. Drawitlive also allows you to go step by step for how a drawing is made so a student could see you work out a problem step by step. 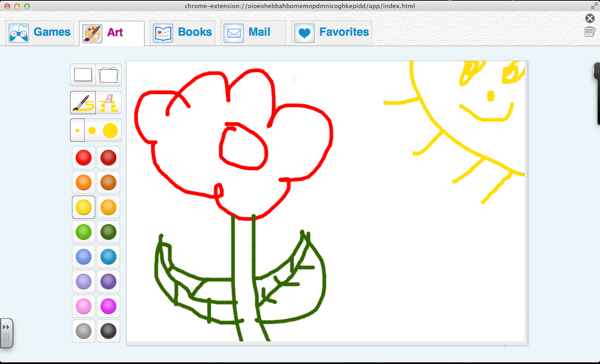 Draw it live also has a text chat function that allows you to talk back and forth about the drawing. 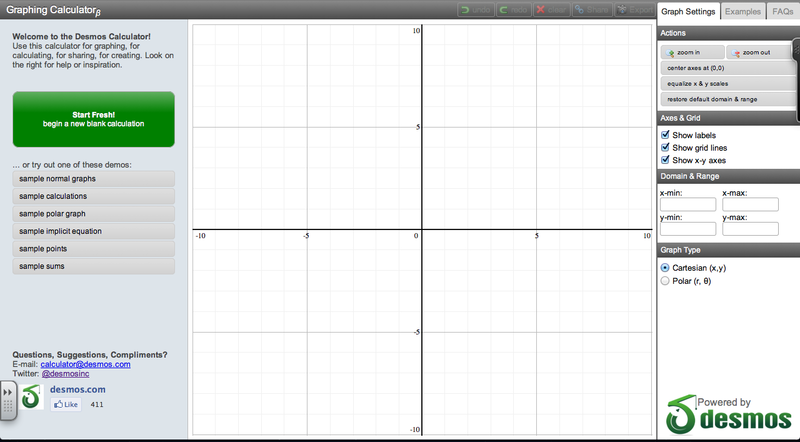 There are a few shapes as well as a text tool that is available. 15. 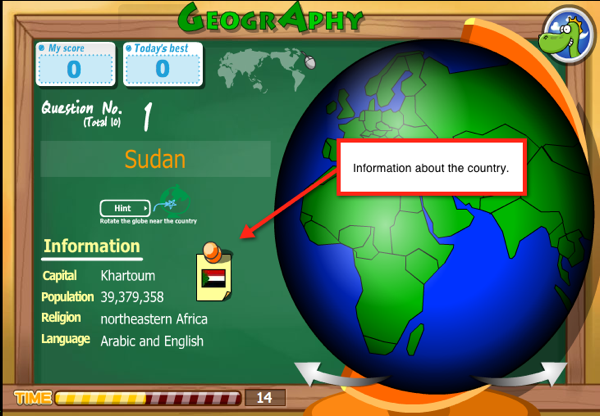 Geography: Geography is a game that challenges your geographical knowledge while giving you information about the different countries. Geography gives you the name of a country and you have to spin the globe and show where the country is. Also on the page for the question there is information such as the capital, population, religion, and language. I will warn you this is a pretty hard, I did have a hard time making it through. 16. Kid Mode: I first found “Kid Mode” while searching for android apps for my now 4 year old nephew. 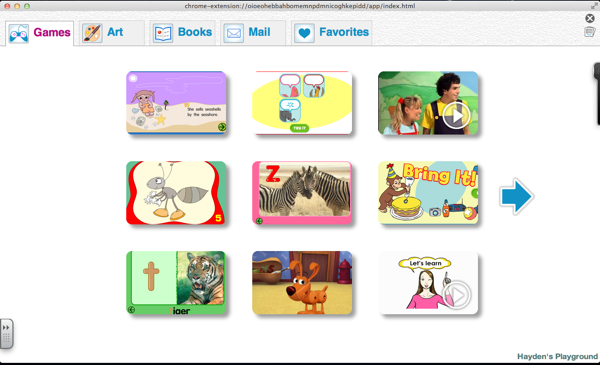 Kid mode allows you to place the browser into a “Kid Mode” and it allows the children to do different things such as games, books, and websites that the parent marks as safe links. This is a great app to have on your phone when you give it to a youngster or have on your computer when they want to use it. This application is not a replacement for parental control software but for younger kids it will do the trick! 17. 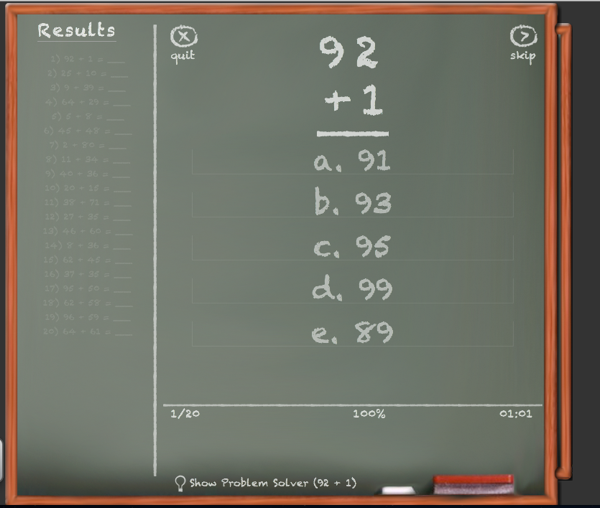 Math Board: Mathboard is similair to carrot sticks in that it quizes you on math problems at varying difficulties. You can choose addition, subtraction, multiplication, etc. With the free version you can only do addition but the full version is $3.99. 18. The Elementals: The elementals are a fun and dare I say cute way to look at the elements. I liked it because it was a great way to have access to a periodic table instantly and its just cool to see them on screen. 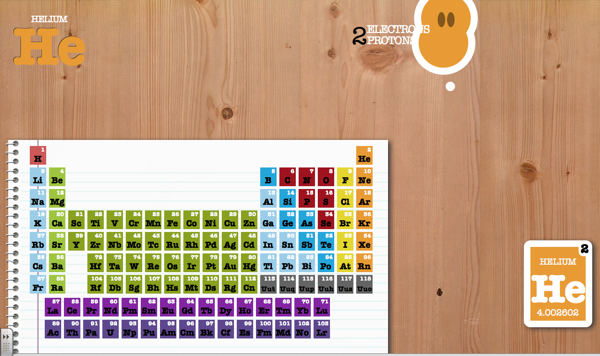 The application also shows information like how many particles are in the element as well as the atomic weight. Anything you would see on an actual periodic table including the valence electrons and number of protons are displayed in the app. 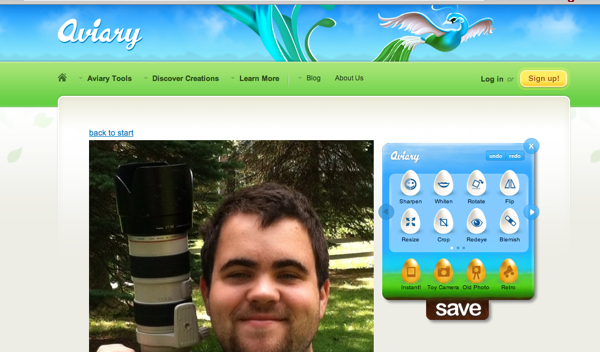 I only mentioned 2 Aviary apps but make sure you take a look at their other apps . What apps have you found useful in the classroom?